“Every language has its own music … If you listen to a language for 15 minutes, you know the rhythm and song.” Having developed this mimicry skill, he could create entire monologues using gibberish in numerous languages, as he did in a skit in which he played a German general. The Entertainers [Performers and Composers] are often the most natural mimics. 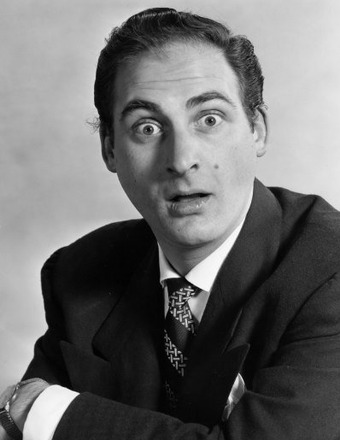 Isaac Sidney “Sid” Caesar, Performer Artisan, (September 8, 1922 – February 12, 2014) was an American comic actor and writer, best known for the pioneering 1950s live television series Your Show of Shows, a 90-minute weekly show watched by 60 million people, and its successor Caesar’s Hour, both of which influenced generations of comedians. In putting on a show Performers have a way with words, not in putting words together, but in delivering them. … It is not so much what they said as it was how they said it; not so much, that is, the meaning of their words, as it was the sound of their words, that caught and held the attention of their audience. Other Performer Artisans include: Steve Martin, Brittney Griner, Janis Joplin, Gene Krupa, Louis Armstrong, Alex Karras, Kim Jong Un, Phyllis Diller, Jim Cramer, Magic Johnson, Josephine Baker, Whitney Houston, Marilyn Monroe, Michael Jackson and Elvis Presley. I really like your blog. Its very interesting and informative. Please type – Jordan Belfort – the real Wolf of Wall Street. I don’t have to do much on Jordan Belfort. He has to be a classic Promoter Artisan, a blazing, pedal-to-the-metal one at that. Thank you very much David Keirsey. I really needed to know that. I am reading his book and myself being a promoter, somewhat connected with him. I can understand what he is saying. Well its funny people don’t have much positive to say about us (even in this blog) _ nevertheless, I really like this blog. Thank you once more. I have done a bit of promotion of Keirsey’s work by asking everyone I know to take the test. Well, where would the world be without Rationals like you. There plenty of stand up Promoter Artisans. A good, positive, example is http://blog.keirsey.com/2012/02/28/bravery-and-bravado/ Teddy Roosevelt, Winston Churchill are examples too. Good work. I admire Winston Churchill. Keep the blog posts coming, can’t get enough of them.